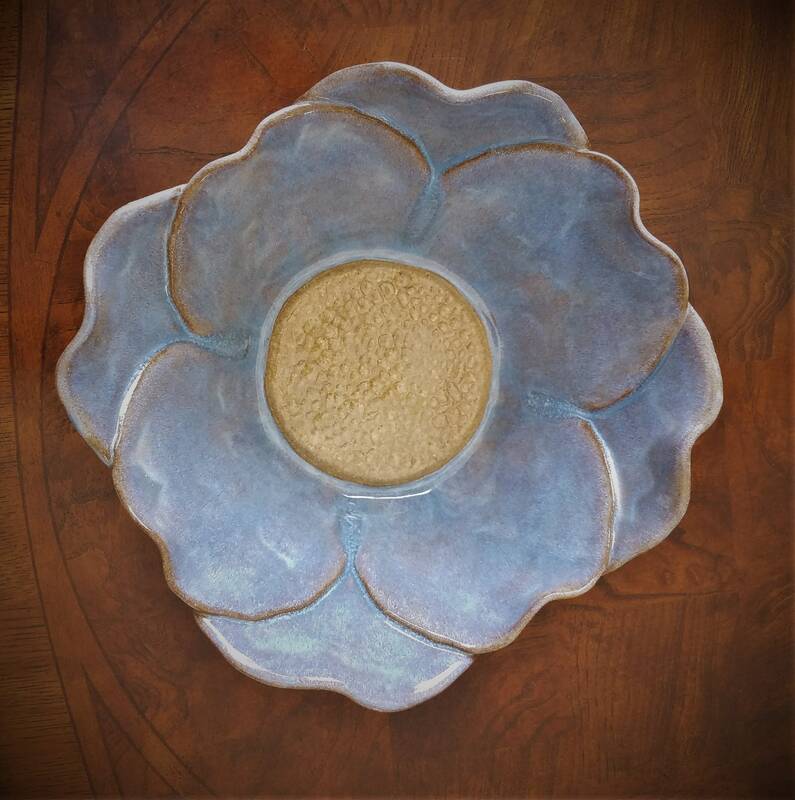 My handcrafted stoneware flower bowls are called "Precious Petals". 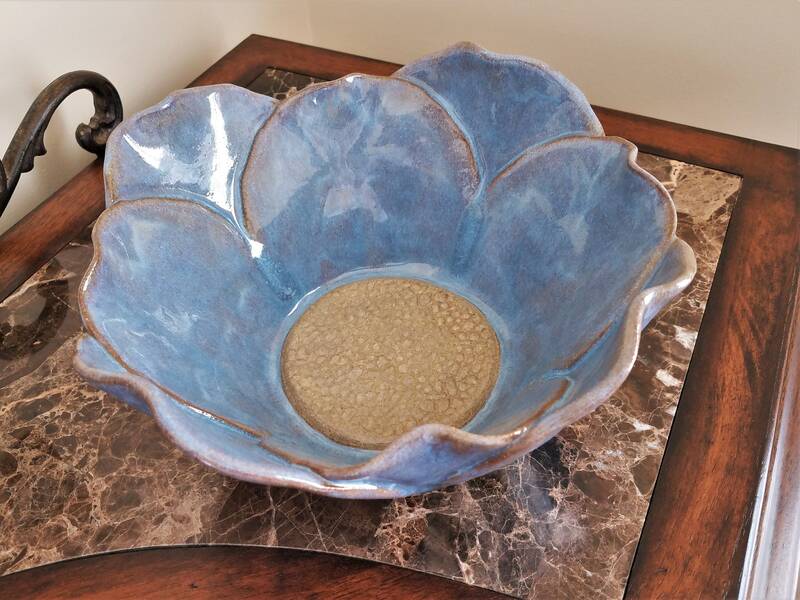 Hand-built from stoneware clay slabs, this bowl was formed with each petal hand cut, shaped and then arranged into a bowl shape. 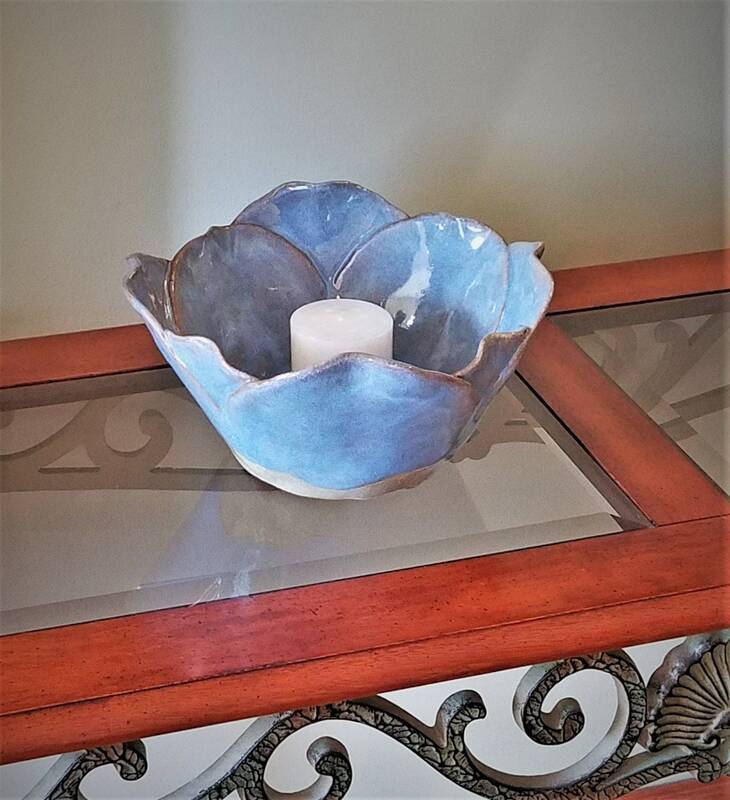 Use it as a table centerpiece with candles to create a cozy atmosphere. 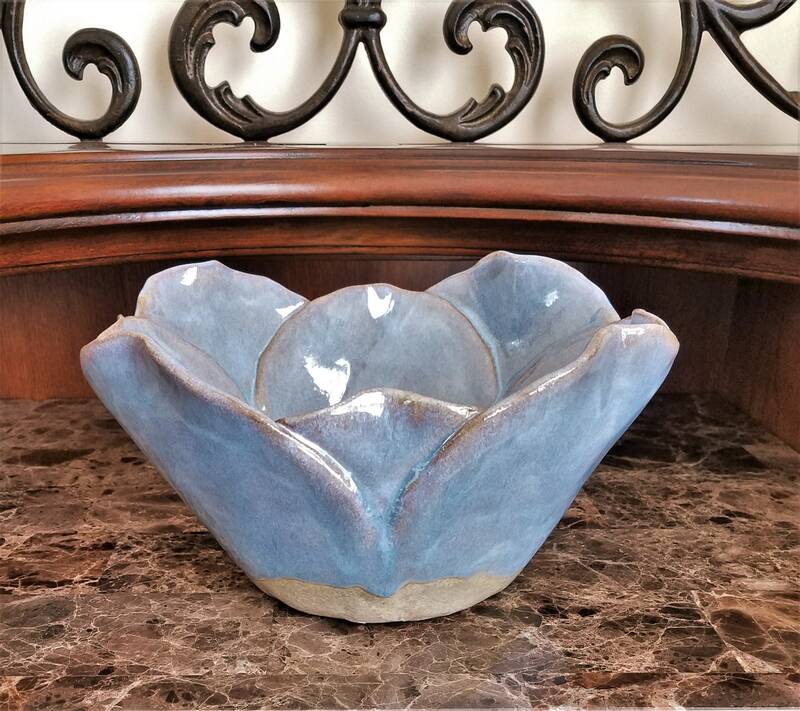 This Precious Petals bowl would be a beautiful addition to any room you use to meditate or simply relax. 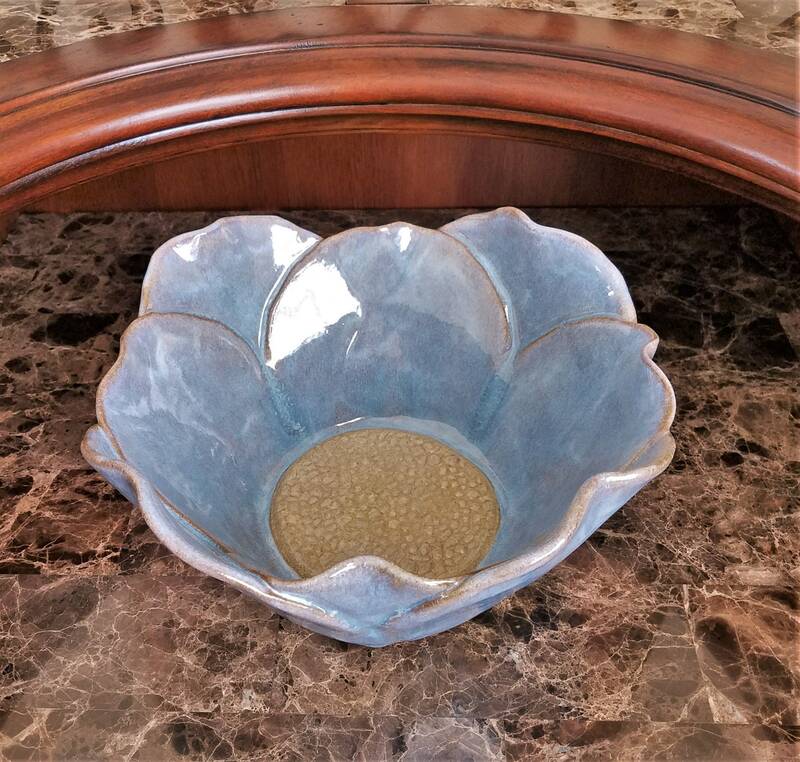 This large bowl was glazed in a light blue with a beige center. 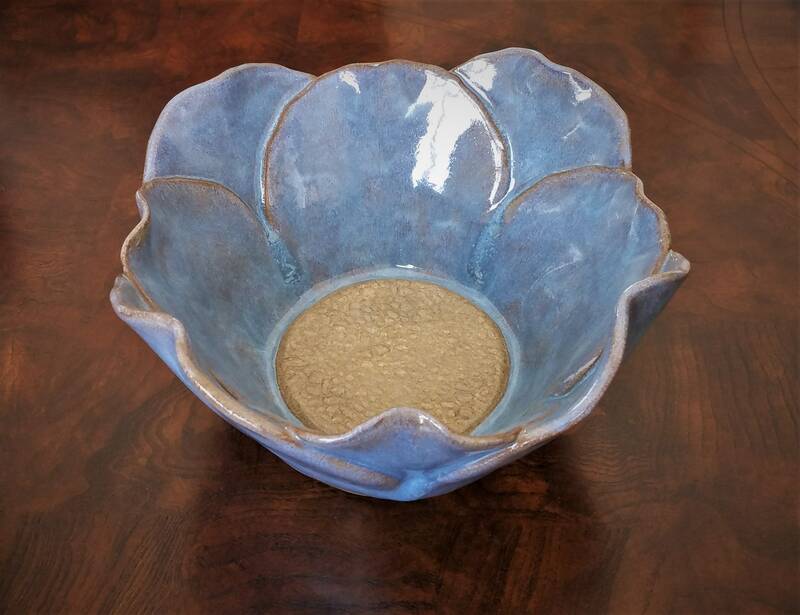 All of my glazes are lead free. 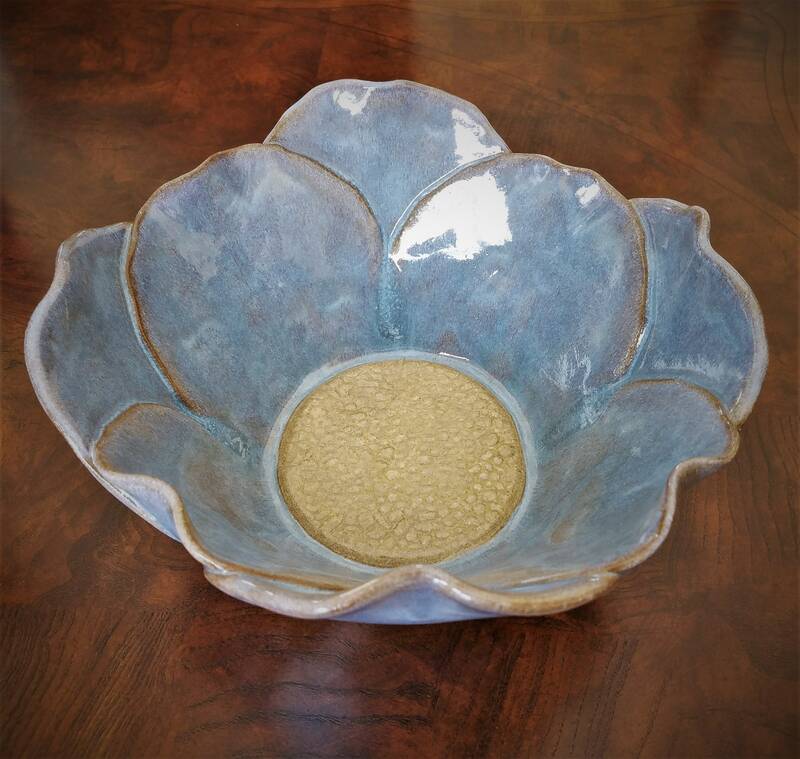 If used to serve food, hand-washing of this bowl is recommended. 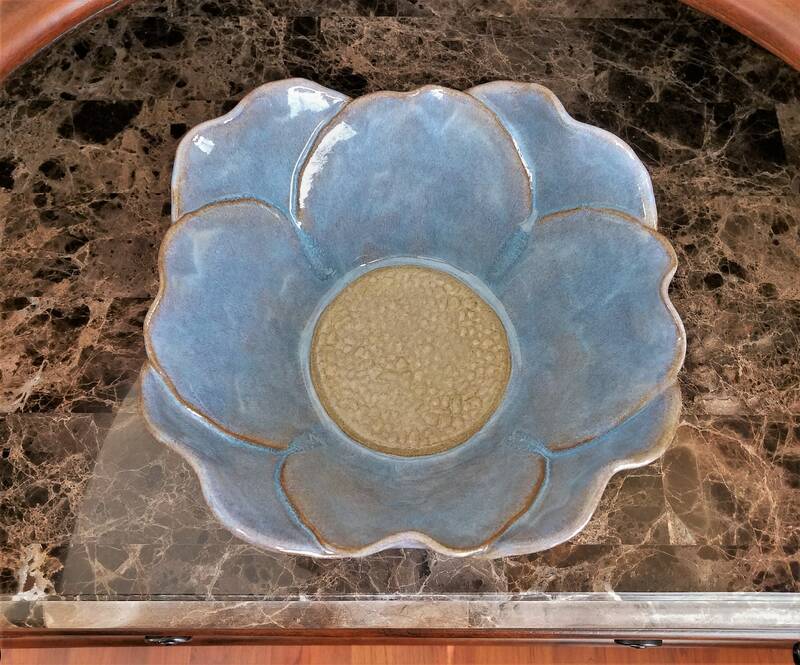 Each "Precious Petals" flower bowl I create is unique and no two are ever alike. 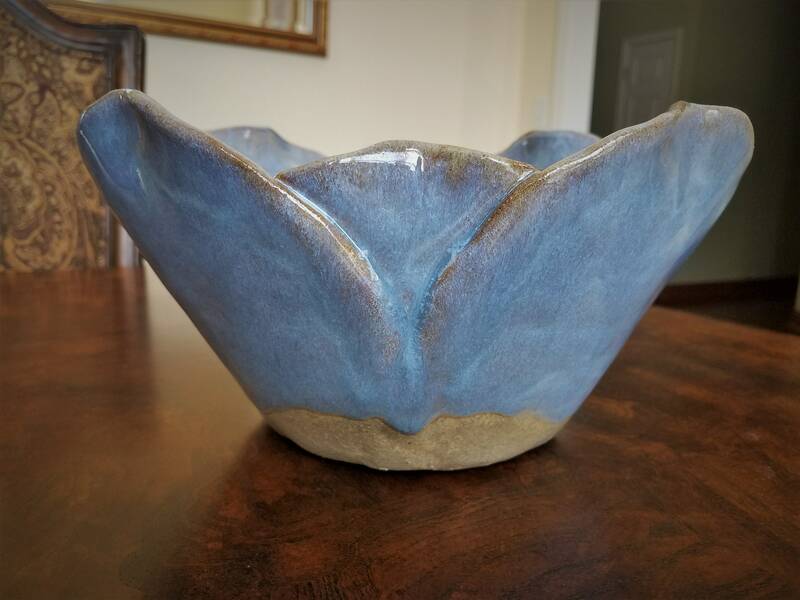 Thank you for looking, and please follow me on social media.